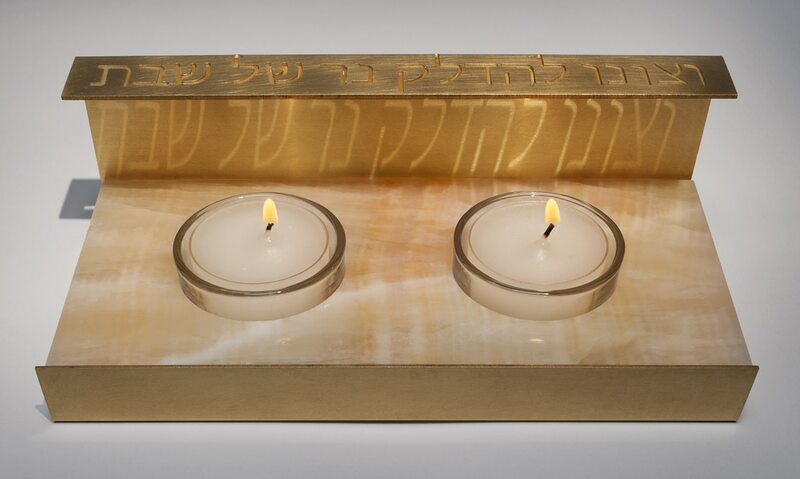 This candleholder, developed exclusively for The Jewish Museum Shop by designer Amy Reichert, reflects the golden glow of Shabbat candles. The incised Hebrew letters make up the final words of the blessing recited over the candles. After the candles are lit, the warm light illuminates the blessing, reminding us to embrace this sacred time each week. The candleholder brass is sealed with wax, which guards against tarnishing. The honey onyx is a natural stone and varies slightly between each piece. 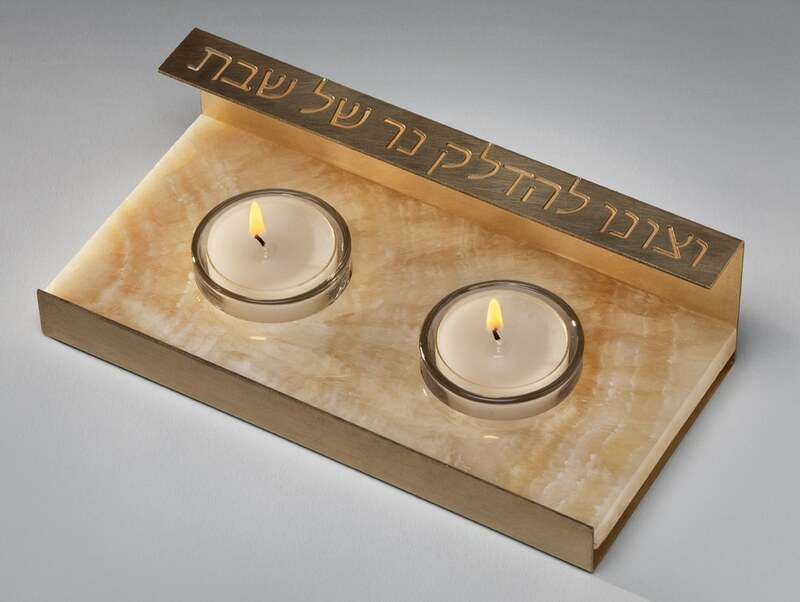 Glass cups are included and hold tea lights for the weekly Shabbat candle lighting ritual. Tea lights are not included. Produced in a limited edition of 125. Each one is signed and numbered.